Where are the logs for the SCAN listeners? Quick post and note to self. Where are the SCAN listener log files? A little bit of troubleshooting was required, but I guess I could have read the manuals too. In the end it turned out to be quite simple! 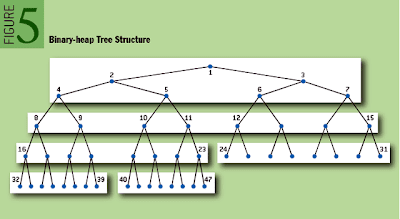 Data structures and how data is grouped, stored and manipulated seems to be a lost art in computer programming yet it's the cornerstone to programming. Poul-Henning Kamp's article is a refreshingly clear perspective on performance and datastructures, check it out. 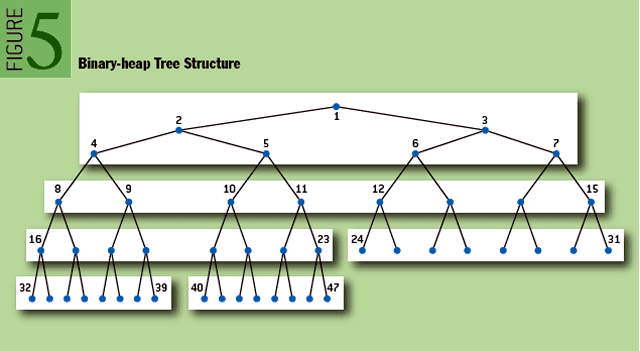 As you can see the traditional binary heap, on left, is deeper than the new structure, the "b-heap", on the right. The "b-heap" is slightly computationally more expensive but if less pages are visited avoiding visiting any paged out pages, the "b-heap" will perform much better. 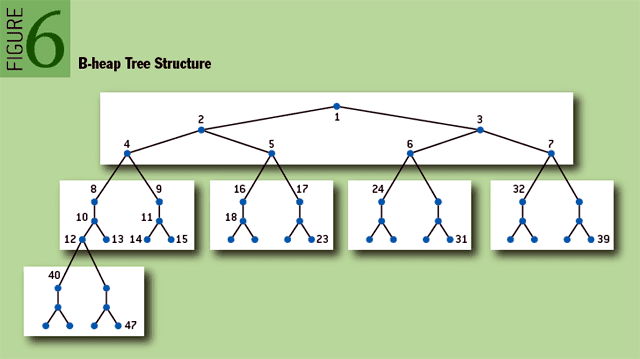 The article goes into detail quite normal situations where the new structure performs an order of magnitude better than the traditional binary heap. The “Secret Sauce” for Exadata is it’s ability to offload processing to the storage tier. Offloading means that the storage servers can apply predicate filters at the storage layer, instead of shipping every possible block back to the database server(s). Another thing that happens with offloading is that the volume of data returned can be further reduced by column projection (i.e. if you only select 1 column from a 100 column table, there is no need to return the other 99 columns). Offloading is geared to long running queries that access a large amount of data. Offloading only works if the Oracle decides to use it’s direct path read mechanism. 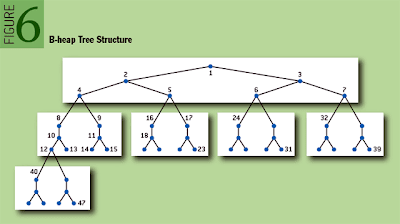 Direct path reads have traditionally been done by parallel query slaves but can also be done by serial queries. In fact, as of 11g, Oracle has changed the decision making process resulting in more aggressive use of serial direct path reads. I’ve seen this feature described as “serial direct path reads” and “adaptive direct path reads”. The ps command in the ways I use it most (ps -ef and ps auxwww) doesn’t display the scheduling class for a process. Oracle have cunningly released a patchset to update Grid Infrastructure that changes the scheduling class from the VKTM and LMSn ASM processes to “Timeshare” instead of Realtime. So far so good, but I had no idea how to display the scheduling class of a process so some man page reading and Internet research were in order. After some digging around I found out that using the BSD command line syntax combined with the “–format” option does the trick. The difficult bit was in figuring out which format identifiers to use. All the information ps can get about a process are recorded in /proc/pid/stat. Parsing this with a keen eye however proves difficult due to the sheer number of fields in the file. So back to using ps (1). Notice how the cls field changed, and also that the rtprio is now populated. I have learned something new today. It's a bit fuzzy on youtube. The real presentation is high quality.